Te Kakahu skink have a new home in Fiordland. In February 99 skinks were successfully transferred to Anchor Island. Congratulations and well done to the team. The Te Kakahu skink is critically endangered point endemic, known only from one small area. The decision for this transfer was made to establish a "backup" population in another safe location, to ensure their long term survival by minimising the risk of having only one population. Nigel Babbage of the M&omacr;hua Charitable Trust said follow-up monitoring of the skink would be carried out on Anchor Island in two months' time. "We would like to thank the Ron and Edna Greenwood Environmental Trust for their support of this project and worthy cause"
The seventh annual fixed transect m&omacr;hua survey was completed in November 2017. M&omacr;hua were detected on ten of the thirteen transects surveyed in 2017, up from 9 out of 13 transects in 2016. The average number of m&omacr;hua per transect was 2.75. The total number of m&omacr;hua individuals seen or heard during the 52 transect walks, including 30 out of count, was 143. Many of these were repeat records of the same birds. Of these 143 observations, 99 were in the Young, a slight decrease from the 112 observations in the Young Valley last year. However, there was a significant increase in observations in both the Makarora Valley and the Blue with 29 and 15 records respectively and overall there was a ten percent increase in birds seen or heard across all lines. The increase in numbers of birds recorded in the Makarora, Blue and lower Young is encouraging. However the overall number of birds is still very low meaning the population is by no means secure. Our trust is very pleased to announce that, with the help of DOC, 20 m&omacr;hua were transferred on Saturday 28th October. The birds were caught in the Landsborough Valley and released in the Hawdon Valley, Arthur’s Pass National Park. All birds flew out of the boxes with no deaths. A huge thank you to the team for all their passion and hard work. 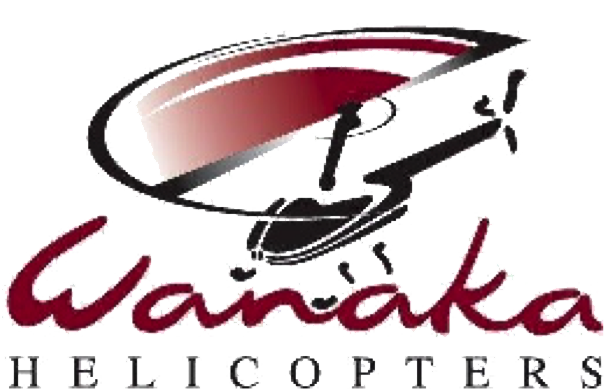 The trust would also like to acknowledge and thank the following supporters: Wanaka Helicopters for their generous sponsorship towards this project. And a huge thank you to the Lottery Grants Board for their support. We greatly appreciate your help with this project. Birdsong in the Eglinton Valley has become that much sweeter after 100 m&omacr;hua were released at Kiosk Creek. This is the fourth m&omacr;hua translocation to the area in 7 years in a joint effort by the Department of Conservation, the Mohua Charitable Trust and with support from Ngāi Tahu. Thank you to the Lottery Grants Board for helping this worthy cause. With your help these birds have a fighting chance. Mohua were detected on nine of the thirteen transects in 2016. The total number of m&omacr;hua individuals seen or heard was 130. One-hundred and twelve of these were in the Young Valley. The total number of m&omacr;hua counted was the highest to date, but this is mainly attributable to the high numbers on the North Young and Young Forks transects. More m&omacr;hua for the Eglinton Valley. 101 m&omacr;hua were successfully translocated from Anchor Island in the Dusky Sound to Kiosk Creek in the Eglinton Valley. Children from the Restore Kepler Team were there to help release the birds in their new home. M&omacr;hua in the Eglinton valley, Fiordland received a top up with the release of 80 birds transferred from Anchor Island in Dusky Sound. The trust worked in partnership with DOC and Ōraka Aparima Rūnanga. The Eglinton valley is one of the few road accessible valleys in Fiordland National Park, and is a popular stop off point for visitors to Milford Sound. Thank you to the Lottery Grants Board for funding the transfer flights from Anchor Island to the Eglinton Valley. 80 m&omacr;hua were successfully moved from Chalky Island to Coal Island in Preservation Inlet, Fiordland National Park. Led by the Coal Island Charitable trust, in partnership with our trust and the Department of Conservation, this translocation supports our aim to re-establish m&omacr;hua and other native bird populations to numbers once found in New Zealand. Thank you to the Lottery Grants Board for funding the transfer flights from Chalky Island to Coal Island. The Makarora region is home of the threatened m&omacr;hua and November this year was the fifth year of spring m&omacr;hua monitoring. This survey has been set up in order to monitor the change in population estimate and to assess efficiency of the predator control in place. The survey region will include the Makarora, Blue and Young valleys where the fixed transects were set up in 2010 and is completed during the months of October and November when the birds are the most active to maximise the survey results. The report shows that the M&omacr;hua population seems to be stable which is encouraging. Research into making genetic conservation recommendations that maximise the evolutionary potential of Kaki by applying population genetic methods to modern and ancient mitochondrial and nuclear genetic data obtained from contemporary and historical populations in New Zealand. Maintaining the genetic health of the threatened species. The fourth year of spring M&omacr;hua monitoring in the Makarora area was completed in November 2014. Ten fixed transects have been surveyed each year in the Makarora area from 2011 through 2012. Three additional transects were added in the Young Valley in 2013, to bring the total number of transects to 13. M&omacr;hua were detected on 10 of the 13 transects in 2014. The average number of M&omacr;hua detected per transect was 1.27. There is a critical need to continue Mohua monitoring across the south island in the next few years following the recent beech mast and Battle for our Birds 1080 operations. 58 endangered m&omacr;hua were successfully relocated from Chalky Island in Fiordland to the Hawdon Valley at Arthur’s Pass. This was the largest ever translocation of m&omacr;hua to Canterbury and boosts the numbers of this endangered species in the region. Thank you to the Lottery Grants Board for funding the transfer flights from Chalky Island to the Hawdon Valley. In 2013, the third year of spring M&omacr;hua monitoring in the Makarora area, was completed in the month of November. The result of this year survey shows a slight increase of the M&omacr;hua population in the Makarora area. Mohua should have a good breeding season this year as there have not been many predators caught in the trap lines at the moment. 22 M&omacr;hua were successfully moved from the Catlins Conservation area in Otago to Resolution Island in Fiordland. The birds were flown by helicopter to Resolution Island the same day, where they were blessed by Te Runanga o Awarua, welcomed by local iwi, Te Runanga o Oraka Aparima and released. Thank you to the Lottery Grants Board for the funds for the helicopter expenses. The transfer of 50 South Island Saddleback from Breaksea Island into Orokonui Ecosanctuary, to establish a self-sustaining population, was successful. All 50 birds caught and transferred were alive when released and looked in very good condition. The M&omacr;hua Charitable Trust together with First Sovereign trust Limited helped fund a Fiordland Crested Penguin Survey managed by the Department of Conservation. A better understanding of the population trends for Fiordland Crested penguins across their range is required to determine if the population is declining and if so what the possible causes are and management option to remedy it. 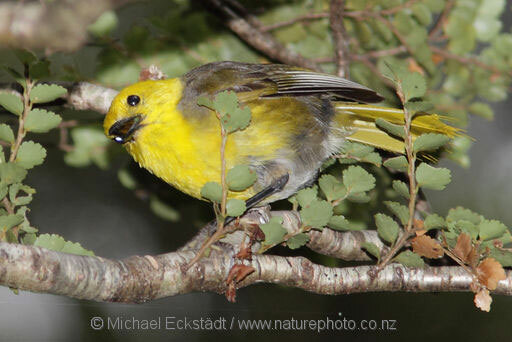 The trust help fund, a Wanaka Department of Conservation contractor, to implement a M&omacr;hua inventory and distribution survey in Makarora and Young Valleys to identify the Mohua population range, distribution and density. This significant data will provide us with a better understanding of the population and will allow us to target areas for a potential rat control operation when needed. The trust help fund, a Department of Conservation team, fly to Fiordland in the hope of finding evidence of Kakapo existence in historic breeding areas. The trust provided nearly 200 traps and funded a helicopter to fly in the new traps to the Makarora Valley. The rock wren is a small, threatened endemic bird, only found in patches of alpine habitat in the South Island of New Zealand. The trust together with the Birdlife International Community Conservation Fund have funded a research project managed by Kerry Weston to investigate the ecology of the rock wren and aid in the conservation of this unique alpine passerine. On the 21 October 2010 69 M&omacr;hua were caught on Chalky Island and successfully released in the Eglinton Valley. This transfer, from an island sanctuary to the mainland, is one of the first on this scale.